Number 4, Windmill Lane’s audio division continues a successful year with further expansion as they announce a strategic partnership with Odeon Cinemas to offer clients theatrical audio mixing facilities. 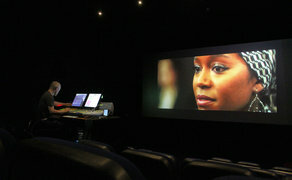 The new service sees Number 4 install its sixth studio mixing space in one of Odeon’s Point Square cinemas. Mary McGuckian’s ‘A Girl from Mogadishu’ is the first film to be mixed in the new facility, with several more projects already slated for the space in the coming months. Number 4 has enjoyed a successful year so far, with its team growing to 19 staff in response to a growing client base. Film projects completed this year alone include ‘Papi Chulo’, ‘Metal Heart’, ‘Dublin Oldschool’ and ‘Black 47’. The studio also continues to build and grow strong partnerships with the key players in Ireland’s booming animation sector. Doherty added: “Partnering with Odeon to offer this service has not only been a strategic response to industry demand, it also offers potential to new and existing clients in the commercial, animation and TV sectors”.